Two US F-15 jets on September 8 carried out strikes using banned phosphorus bombs in Deir ez-Zor province, the Russian Center for Syrian Reconciliation said in a statement. "In Deir ez-Zor province on September 8, 2018, two F-15 aircraft of the US Air Force carried out strikes on the settlement of Hadjin with the use of phosphorus incendiary munitions. As a result of the strikes, major fires were observed. Information on victims and injured is being clarified," Major-General Vladimir Savchenko stated, stressing that the use of weapons with white phosphorus is prohibited by an additional protocol to the 1949 Geneva Convention. 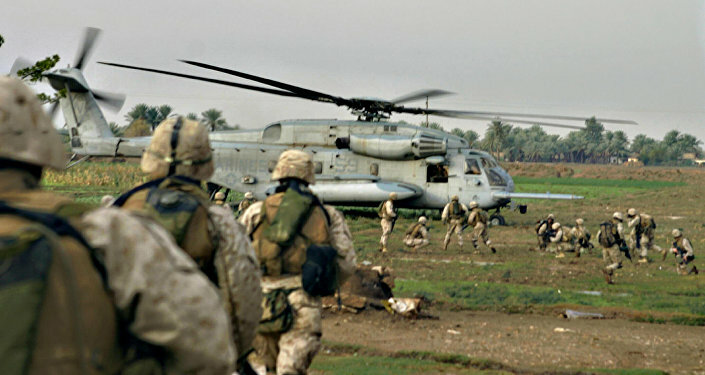 The US-led coalition, consisting of more than 70 countries, is conducting military operations against Daesh* in Syria and Iraq without UN or Syrian permission. In August, former Commander of Syria's Deir ez-Zor Military Assembly Fayez Esmer reportedly stated that the Pentagon was preparing to set up a missile defense shield in Syria's northeastern cities of Al Hasakah and Rmelan. This is not the first time that the US-led coalition is accused of conducting airstrikes on Deir ez-Zor. 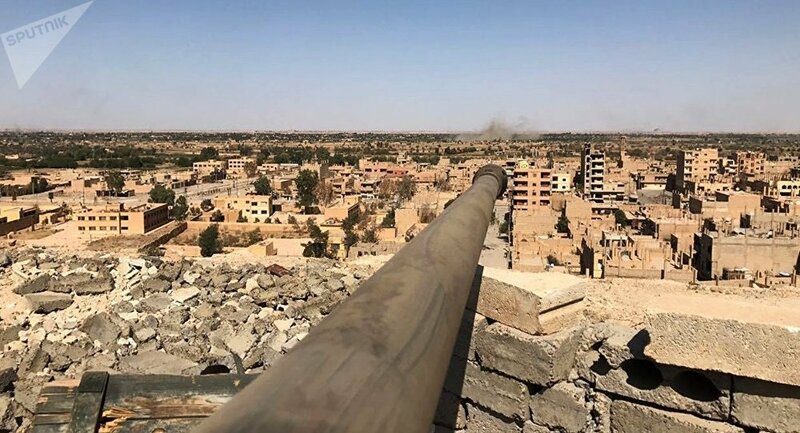 In June, the US-led coalition reportedly hit positions of the Syrian Armed Forces in the Al Bukamal area, killing multiple Syrian servicemen and injuring several others. In 2017, US airstrikes claimed the lives of six civilians, including three children, leading to Damascus' accusations of the US-led coalition of using white phosphorus, prohibited by international convention, to damage infrastructure and kill civilians.